Some scientists are beginning to describe the “survival instinct that fights dieting efforts to lose fat” as the Hypothalamic Leptin Regulated Metabolic Switch. Fat burning is healthier than sugar burning because fat burning produces fewer free radicals. Sugar burning creates more free radicals and more glycation damage. Sugar burning could also be called fat storing because when the Hypothalamus chooses sugar burning, it also chooses to store every possible incoming calorie as fat, even lowering the metabolism so that more calories can be stored away as fat. Very importantly, if the Hypothalamus chooses for the body to burn sugar and store fat, then dieting will not be very successful, or, even if it is successful through sheer will power, then as soon as the dieting ends, the body may go back to storing fat, and erase whatever fat loss had been achieved. The Hypothalamus chooses whether one’s cells will burn fat or store fat, based on the Hypothalamuses perception of the body’s energy reserves, which energy reserves are expressed in terms of Leptin levels in the blood. If energy reserves (i.e. Leptin levels) are within an optimum range, fat burning mode will be chosen, otherwise, the sugar burning (fat storing) mode will be chosen. The reason the Hypothalamus cares about energy reserves is our powerful survival programming - it is to protect one from a potential time of famine. Successful weight loss programs must work with the survival mechanisms of the body, i.e. the Hypothalamic Leptin Metabolic Switch and not against those survival mechanisms. The survival instinct that drives appetite is the result of the functioning of the Hypothalamus gland in the brain which constantly scans the blood to determine if one’s body has enough stored food energy in order to survive any potential famine. The amount of Leptin in the blood is deemed by the Hypothalamus to indicate the amount of energy reserves that the body has. If enough energy reserves are determined to exist in the body, then the Hypothalamus puts the body into fat burning mode by increasing levels of and if not, the Hypothalamus puts the body into fat storing mode. Again, the Hypothalamus does this determination of how much food energy is stored in the body by measuring the levels of a chemical called Leptin (which is a messenger, molecule made in fat cells that circulates in the blood and is detected by the Hypothalamus). If the amount of Leptin in the blood goes below 4.0 ng/ml or above 9.0 ng/ml, then the Hypothalamus switches the body into fat storing mode instead of the more desirable fat burning mode. When Leptin levels are in the optimum range (pictured as green above, between 4.0 ng/ml and 9.0 ng/ml) then the brain switches the body back into the preferable fat burning mode. When the Hypothalamus signals for the fat storing mode to be implemented (due to low Leptin levels), the cells of one’s body will burn sugar for energy, the metabolic set point will lowered to conserve energy and fat will be stored — all with the goal of increasing energy reserves. This is the survival mechanism - if there is not enough fat, start storing more fat until there is. In the fat burning mode, fat is burned for energy and the metabolic set point is raised — which increases the available energy one has. The more energy one has the better one feels. Being in the fat burning mode is important for long term weight weight management and for feeling one’s best. Leptin levels of 9.0 ng/ml or higher (high amounts of Leptin in the bloodstream are fatal to having a successful weight loss experience) are measured by the brain as zero. High blood sugar increases the rate of production of Leptin. Low blood sugar reduces the production of Leptin. This is a grand secret of Leptin reduction. Deep sleep removes Leptin from the blood stream. This is, also, a grand secret of Leptin reduction. Stress, fear and anxiety release stress chemicals such as adrenaline and cortisol which put the body into sugar burning mode regardless of Leptin level (obviously counterproductive). The body can only burn fat or sugar in order to gain energy. Burning fat is the healthy mode while burning sugar is the unhealthy mode that leads to fat storage. Having the cells of the body operate in the fat burning mode results from keeping one’s Leptin level within the range of 4.0 to 9.0 ng/ml. Engaging in moderate exercise (40 minutes or longer) puts the body into fat burning mode regardless of a high Leptin level. The scientific method of weight loss includes Leptin level management and exercise. Exercise can temporarily force fat burning. It takes 30 to 50 minutes to move the body into a temporary fat burning situation. Persons with high percentages of body fat, who do not plan to exercise, have only one option for lowering Leptin, which is to maintain extremely low blood sugar levels (between 70 and 95) and to sleep for 7 plus hours per night so that Leptin production is low during the day and so that Leptin is removed from the blood stream during sleep. After approximately a week of doing this, Leptin levels will become low enough for fat burning mode to be maintained for much of the day. Exercise can burn off blood sugar. Unfortunately, many people are unable to exercise, at the beginning of a health improvement/weight loss effort. Fasting from food lowers blood sugar. However, fasting leads to nutrient deficiencies (which can increase stress and cause muscle atrophy) and fasting is uncomfortable for most people to do. Eating food which has very little sugar and carbohydrate content will also result in lowered blood sugar and has the advantage of avoiding the stress on the body caused by fasting. The trick or secret is to choose suitably low carbohydrate, easy to purchase and prepare food, good tasting food. Freshly extracted vegetable and fruit juices. It is important to choose organic product to avoid pesticides and to emphasize vegetables (i.e. 80% vegetables and only 20% fruits). If one includes too much fruit juice then blood sugar will be raised and not lowered. Of course, fruit juice tastes much better than vegetable juice, so there is always a battle between taste and keeping blood sugar low. The biggest problem with extracted juice is the time spent in finding and purchasing organic produce and the time to wash the produce, extract the juice and cleanup the mess (several times a day). Nutritional powders mixed in water are much easier and less expensive and takes only seconds out of one’s day. In fact, the biggest problem with nutritional powders is that they free up at least an hour a day in which one is not eating. This extra time can be disconcerting to many people who just don’t know what to do with an extra hour. Also, nutritional powders are usually many times more nutritious since the plants are freeze dried at the peak of nutrition. This is the WIN method. It is important to have 12 to 14 consecutive hours per day of no food and ample sleep each day so that the body can remove metabolic and stress hormones from the body. It is important to reduce fear and anxiety since those things put one into a sugar-burning, fat storing mode. Supplements that may help normalize blood sugar, improve fat burning and increase detoxification rates and improve nutrient utilization include: Glycemic Support, Magnascent Iodine and Vitamin D3 and Probiotics, Parent Omega Oils, Arginine, Carnosine and Acetyl L Carnitine. The above supplements are very useful for helping certain individuals to achieve maximum fat burning. Finally, specific supplements and practices that remove stress hormones from the body such as meditation, Laminine and Sleeping Earthed are very useful to ensure that one avoids sugar-burning mode due to stress in the body. WIN – Weight-Loss Intensified, Naturally! Have you tried diets in the past that didn’t work? Are you tired of diet products that contain chemical ingredients that (you know) aren’t good for your body? If your answers are yes, then WIN is for you! Our customers continuously report to us that the WIN program worked so well for them, and so easily, that they had a complete life-changing experience that they previously thought was impossible. They say that WIN has made them truly happy and given them their first real hope of being able to maintain an optimal weight for the rest of their lives. Our WIN products and weight loss concept were originally going to be called by us the No‑Nonsense, Nutritionally-Intensive, Accelerated Weight Loss (NONNIAWEL) Protocol but, since that name is way too long, we decided to shorten the name to WIN. Fat Burning With WIN Gives People a Wonderful New Life! We believe that whether you have 20 pounds or 200 pounds to lose, the WIN system is the simplest and most reliable way to shed those excess pounds of fat. The WIN program includes three nutritional powders - with numerous fatty acids, amino acids, minerals, vitamins and natural fat burning enablers to make this the last weight loss protocol you will ever need! The WIN fat loss plan with its THREE high-intensity, nutritional powders are designed to assist a person’s body to get quickly into a healthy fat burning mode, which, according to emerging scientific research, is the most direct and efficient way to lose weight. With the help of WIN nutrition, your body may change its weight and shape so fast that you will think the program is magic. But, the WIN program is not magic. Rather, WIN is the most advanced, cutting-edge, metabolic-hormone optimizing nutrition available on earth. It enables the body to re-calibrate its ability to sense stored fat and turn on the fat burning mode. We believe that the intensity and variety of nutrition, i.e. the significant amounts of fatty acids, amino acids, minerals, vitamins, polyphenols, etc. needed by the body, that are supplied by WIN is the reason why weight loss can so easily occur without the typical hunger or loss of energy and, as a result, be a total WIN. A Few Examples of WIN Weight Loss - These are the results from some of our first WIN users who have taken the time to write us, but this is not to be construed to rise to the level of a claim nor medical advice for what anyone else can expect (as making claims would require double blind studies with a large cross section of people). We are simply reporting what has happened with our first WIN users, it is not a prediction for what you will experience. Our explanations about WIN should be thought of starting point for your own research as to a possible way to proceed in your own life. The WIN products and weight loss program have excited me beyond words! 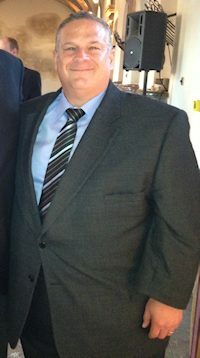 I lost 100 pounds in the first 90 days without exercise, and without feeling hungry and with no loss of energy. And, my health soared! 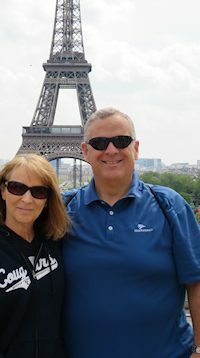 Then, for five months, I went off strict adherence to the program because of several business trips and pre-planned vacations, but I have not regained weight, in fact I have continued to lose another 50 pounds by partially following the program, and despite enjoying the delicious foods in France, Portugal and Italy. Once I finish my last upcoming vacation trip for the summer, I plan to return to doing the WIN program 100% and lose a final 40 pounds and be back to my High School weight. This program absolutely works! The reason that the WIN Weight Loss Protocol works fantastically well is that it works with the Leptin regulated Hypothalamic metabolic mode switch in the brain to ensure that one’s cells burn fat for energy! Scientists have discovered that the fat burning mode is the healthy human metabolic (cellular power generating) mode. When the body is in the fat-burning, metabolic mode, fat is burned for energy within one’s body cells, instead of the only other possible fuel, which is sugar. In the fat burning mode, energy stays much more constant, even between meals, because there is always a stored supply of fat, even if there is no food in the stomach to produce blood sugar. The coincident production of oxidative byproducts (free radicals) is much less with fat burning than with sugar burning, therefore less free radical damage is done to the body, meaning overall less stress on the body, and less DNA damage to be repaired. In the fat burning mode, bone density and muscle tone are maintained, unlike when one is in the sugar burning mode, while sleeping bone and muscle will be autolyzed to obtain sugar. When a person’s body is in the fat burning mode, metabolism can be much higher and, therefore, fat will be burned up more easily and normal weight more easily maintained. The fat burning theory of longevity and weight normalization, espoused by Dr. Ron Rosedale and other longevity and energy researchers, states that, for longevity, the primary metabolic mode we should function in is in fat burning mode. These longevity scientists have learned that the brain’s Hypothalamus gland sets the metabolic mode of the body (fat burning versus fat storing, i.e. sugar burning) based on the Hypothalamus’s sensing of serum Leptin levels. By working with this Leptin regulated Hypothalamic metabolic mode switch in one’s brain, one can be healthier and normalize weight without fighting the survival instinct that derails most diet efforts. Ensuring that the body stays in the fat burning mode is, consequentially, a choice to ensure health, longevity and weight normalization. That makes learning how to be a fat burner and implementing a fat burning lifestyle, one of the most important of all types of education one can obtain as well as the most important health choice and disciplines possible. More details regarding metabolic mode can be obtained by reading the information in the left hand column or by requesting our free E-Booklet on how to have a Leptin Sensitive Hypothalamus). Legal Disclaimer: We are not your medical doctor or health professional. We advise that you check with your medical doctor or licensed health professional who knows you personally before undertaking any changes to your nutrition or exercise habits or plans. Each person is unique and so what benefits others may provide no benefit to you or may harm you. We advise you that you should seek the advice of a health professional before undertaking any supplementation or weight-loss regimen to make sure that you do not harm yourself. Especially, do not discontinue medications without consulting with your health professional who understands your individual needs. The WIN Protocol — Here Are The Simple Steps That Can Result In Significant Weight Loss - just follow the steps and be pleasantly surprised. For the first week on the program, everyone should take FOUR (4) servings per day (a serving every 3 to 4 hours). You may need to continue taking the WIN powders at the rate of four servings per day for the first two weeks since this is the period of time in which the body is switching from sugar burning to fat burning mode and an extra serving helps one to avoid feeling hungry. If you experience a craving to chew something(especially the first week) - then we suggest freezing and chewing popsicles made from the WIN powders mixed in water. Bowel movements – since very little stool is being formed in the intestines during the time that one is drinking only the WIN powders, it is recommended to encourage intestinal clearing with herbal aids, probiotics, potassium or magnesium supplements, or, especially, once-a-week colonics or enemas. Detoxification – toxins will be released in a greater quantity than normal during the time you are doing the WIN program. Usually, this is not even noticed, but if you do happen to get a detoxification headache, it means that toxins are coming out faster than they are able to be processed out of your body. In this case, we recommend the following to help speed the exit of toxins from your body: more water, sweating in a sauna, consuming zeolite, or lymph draining massage. Although not essential, some supplements may be helpful add-ons to the WIN Program. We particular recommend Methylate.It works to remove metabolic toxins from the body, increase energy and increase brain neurotransmitters that help us feel great. We recommend a dosage of one capsule with each serving of the WIN powders. It is recommended that, in most situations, no other foods or beverages are to be consumed while doing the WIN program — especially, NO soda, milk, energy drinks, etc. Drink additional water to flush metabolic byproducts out of body (at least another 40 to 60 ounces daily). Exercise is optional, and is extremely beneficial. It will significantly enhance results. If the thought of exercise is discouraging to you, then you would probably do best to start without exercise and as weight loss occurs you will become excited to improve your results by adding exercise. You should consult with a physician before starting to exercise and start gradually; building up to 30 to 60 minutes of exercise of a vigorous nature that causes deep breathing and perspiring. Exercise should never be done to the point of exhaustion. Low blood sugar is required to instigate and maintain one’s body in the fat burning mode, by reducing Leptin production. Low blood sugar will result from exclusively eating the WIN mixture since it contains only about 170 calories per serving. If you have a blood sugar condition, then it is even more necessary for you than for other persons to consult with your physician. Diabetics must monitor blood sugar and reduce medications as needed while on this protocol or else it is possible that blood sugar could go dangerously low. The reason that the WIN program works for weight loss, without a loss of energy and without being hungry, is because it supplies such intense nutrition (large amounts of amino acids, fatty acids, minerals, vitamins, and so forth) that help to reduce Leptin levels, increase serotonin and create a happy brain. The nutritional intensity and variety of food nutrients helps eliminate any biological urge to eat that often occurs with other diet programs that provide lesser amounts and lesser varieties of nutrients. The WIN protocol, does not, however, remove psychological cravings, and so you will need to be aware and manage yourself in light of that factor. Especially, in the middle of the first week, your brain may tell you that you have to “eat now or die” (the brain is persuasive, but it is wrong). And, if someone is eating your favorite food in front of you, you may have a huge desire to eat that food. The psychological urge to eat is a something that you will have to deal with our proven strategies. We discuss it in our FAQ section below. Consume WIN Powders mixed in water instead of food. Drink extra water regularly throughout the day. If you’re hungry or feel any loss of energy, take another serving of WIN. Sleep at least 7 hours a night. And, if you exercise, you’ll get better results. The WIN food powders are very low in total carbohydrates (170 calories per serving). So, one’s blood sugar will become very low, which will help reduce the amount of Leptin being produced by your body, which helps to bring about a fat burning mode. The WIN nutritional powders are extremely high in antioxidants and nutrients, including essential fatty acids, amino acids, minerals, vitamins, fat-burning enablers, etc. The high nutrition will ensure that cells are happy, unstressed and working correctly to burn off fat. The food powders when mixed in water are palatable. We wouldn’t call this mixture delicious, but the taste is good enough that the program is sustainable for a long period of time. Sufficient sleep (7 or more hours) each night ensures that stress hormones (Cortisol) and metabolic hormones such as Leptin and Insulin (which would encourage fat storing) are removed from the blood, helping to support a fat burning mode. Forty to fifty minutes of exercise each day will enhance results tremendously by immediately forcing the body into fat burning mode, regardless of Leptin levels, as well as by burning off additional fat through the increased calorie deficit caused by exercise. With the large amount of nutrition provided in the above food mixture combination, your cells will be very happy and will be able to function optimally. Your health will soar while on this program and you will burn fat. Choose Your Desired WIN Nutritional Powders - Each powder contains 30 servings (enough for 10 days at 3 servings per day). The E7 flavors shown here are the ones that taste good with the GPS/Hechoco/Richoco powders. Choose one powder from each dropdown. Question: Does it matter what kind of drinking water I use with the WIN powders (i.e. tap, bottled, distilled)? Question: The WIN protocol specifies that no other foods or beverages are to be consumed. But, what if I really have to eat or drink something? For example, what if I must go to a social or work-related function and not be antisocial by refusing food and drink? Answer: Participate with a glass of water. Question: Can I cheat just a little bit? Answer: Maybe, but probably, not because if you begin cheating, more than likely, you will not be able to stop cheating. People love this diet because in a short period of time one can get great results. But, the accelerated results that WIN enables can cause a problem in how you think because, once you see how well the WIN diet works, you may be strongly tempted to take a break from the WIN program (for whatever reason your brain comes up with), for 10 minutes, 10 hours, 10 days or 10 weeks, because you know that you can start it up again, and quickly lose weight. The reality is that your weight loss timeline can expand dramatically by taking breaks. It is far better to get down to your optimal weight quickly and then permanently enjoy your improved health and appearance, instead of having the lesser and momentary pleasures (of the mouth) you might get by cheating. Question: What can I do when psychological urges to cheat arise? Answer: Delay! Those urges go away in about 30 minutes or less. So, get away from temptation. Think about your goal of being healthy and slim! Drink more WIN or chew up some WIN popsicles, drink more water, go exercise, find something enjoyable to do that will get your mind diverted from your mouth. If you absolutely must put something in your mouth or lose your sanity, then find something crunchy, tasty and very low calorie to chew on. That could be two to five high fiber crackers, celery or a small piece of chicken. Put Pico de Gallo (a low calorie salsa) or something similar on whichever of these low calorie foods you have chosen, and enjoy eating it. Be warned, however, that if your blood sugar goes up, even just a little, your body may “exit” the fat burning mode, and then may take up to several days to get back into fat burning mode. Question: What if I work extremely hard each day. Will I get hungry because of the scant calories in the WIN powders? Answer: Yes, so, be preemptive by taking another serving of the WIN powders before getting hungry. Most of the calories that will be burned in your cells each day are going to be coming from stored fat (which is exactly what you want) or from food protein converted into glucose. Each of our cells do need some carbohydrate calories, too, which are more than sufficiently supplied (for most activity levels) by the WIN powders. However, during extreme physical exertion and during the initial switch over from sugar burning to fat burning mode, which occurs during the first week or two, three scoops per day (a scoop every four to five hours) of WIN powders may not supply enough carbohydrate calories in some cases to avoid hunger or loss of energy. So, be prepared to take a scoop of the WIN powders every 3 hours during extreme exertion in order to ensure that you don’t feel hungry or lose energy. Also, you can put the WIN powders in more water (32 ounces instead of 16) to expand the stomach, which expansion helps stops psychological hunger. Question: What if I cannot financially afford three servings a day of the WIN nutritional powders, but can afford only two servings? Answer: Then take your first WIN serving for breakfast and your second WIN serving approximately three to four hours before bedtime. For lunch (and, if needed the first week, for an additional meal during the day), eat a small amount of protein and carbohydrates. For instance, you could eat 3 ounces of lean beef, chicken or fish with a half cup of lettuce, celery, or broccoli, etc. Keep in mind that modern food has 1/20th or less of the nutrients that are in the WIN powders. So without exclusively eating WIN products, your cells may be hungry and how you feel won’t be as good as with the WIN powders. How you feel is important, because if you don’t feel great, you will be much more likely to find reasons to discontinue. Question: I’m allergic to chocolate. What can I substitute for Chocolate E7 and HeChoco or RiChoco since they all contain chocolate? Answer: You can pick another flavor of E7. 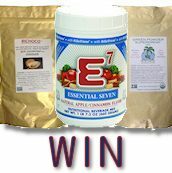 Other flavors of E7 include Berry, Power Fruit, Vegetable, Natural, Apple Cinnamon and Vanilla. The main purpose of the Richoco and Hechoco powders is to supply high quality fatty acids, amino acids and antioxidants. So, you could substitute an additional two thirds of a scoop of whichever non-Chocolate E7 flavor you or a full scoop of RiSoTriene instead of Hechoco or Richoco. You could also substitute a scoop of ZEAL for Life. Question: I’m allergic to milk. Is there anything in the WIN products that is sourced from milk? Answer: The GPS and Hechoco or Richoco are totally vegan, meaning nothing in them has come from an animal. However, six of the eight flavors of E7 contain small molecule whey protein, which is derived from the whey of cow’s milk, and is highly assimilable. Two of the E7 flavors (Power Fruit and Apple Cinnamon) do not contain small molecule whey proteinThey were designed specifically as vegan products. Power Fruit tastes very good with GPS, but Apple Cinnamon doesn’t taste quite so good with the GPS. Small molecule whey protein was designed for infants and adults who are allergic to milk. The casein and lactose (the proteins that cause milk allergies) have been removed. The remaining protein is is predigested (enzymatically reduced) until reaching di and tri peptide size (less than 700 Daltons). What we’re saying is that even if you have milk allergies, you will probably do just fine with E7 flavors that contain small molecule whey protein (which is all the flavors except for the two mentioned). But, you won’t know, for sure, until you try. Question: How do I know when to end the WIN dieting and go back to normal living? 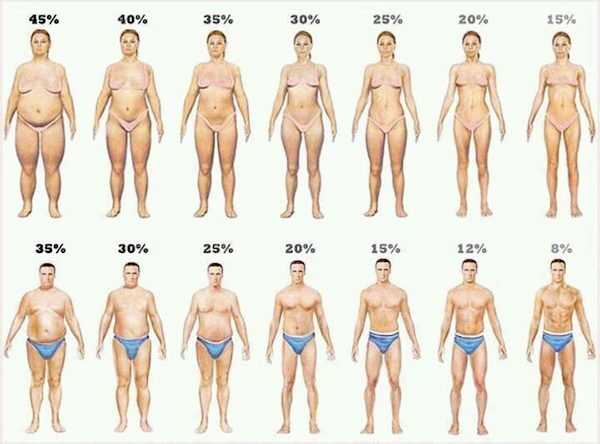 Answer: The best answer is to continue until reducing body fat to 22% (for women) or 15% (for men). This ensures that the body’s production of the Leptin hormone (which governs metabolic mode) will remain very low long term and thus enable your body to easily stay in the fat burning mode, thereafter. Question: What diet do you suggest after finishing with the WIN protocol? Answer: Whatever diet you like that provides a large variety of raw food nutrients and antioxidants and doesn’t result in fat gain. We recommend a substantial part of your diet be healthy fats, proteins, salad greens, sprouts, nuts and brightly colored vegetables and fruits. Eat processed foods sparingly. Please download and review our remaining Leptin Sensitive booklet for specific guidelines.